In the car alone? On the subway avoiding eye contact with strangers? Your commute is about to get much better. Take our word for it that listening to these favorite podcasts isn’t meant to be only while you’e shuffling between work and home. Whether you’re looking to unwind or gain education into the beauty realm, these ear worms will have you slamming on that subscribe button. A little bit cat lady and a little bit rock and roll. We’re talking about Jessica Matlin and Jennifer Goldstein, the cohosts of Fat Mascara, the podcast we have been religiously devoted to since its inaugural episode. Both are beauty directors at major magazines (Jess at Harper’s Bazaar and Jenn at Marie Claire) with entrenched histories in the beauty biz and industry friends that give us squad envy. Each episode is a blend of breaking beauty news and trends, products they’re loving, and an interview that has us wanting to be a fly on the wall of their studio (think Mario and other VIPs). The latest episode had us curled up with hair extraordinaire Sally Hershberger. The best part of each episode is not even the content (though it’s pretty rad, we promise) but it’s the witty banter between Jess and Jenn. They are direct with their opinions while remaining open-minded to new adventures and self-deprecating commentary. Did you ever wonder what it would be like to down a martini and obsess over you celebrity crush with the ladies from Ab Fab? Well, this podcast will get you damn close. Pandora Sykes and Dolly Alderton are podcast veterans who give us their unfiltered opinions on everything happening in pop culture and media. While, The High Low isn’t technically a beauty podcast, the two Brits are sassy and humorous in their approach to the current controversies and breaking news in celebrity lives (aka our #selfcare). Don’t confuse this podcast with fluff listening or some TMZ riff raff. The two journalists will do a deep dive into the history of a subject and its contributions to the current state of affairs. An example is the episode they did to address Harvey Weinstein, the person and the situation. If you want to join the conversation of what’s going in the work but are intimidated by more traditional (read: dry) outlets, check out Pandora and Dolly’s take on what’s up out there. Jodi Katz is a veteran in the beauty industry with a unique perspective on creative branding and the business of beauty. She is also the founder of Base Beauty Creative Agency and hosts the podcast Brain Meets Beauty. Jodi lets us in on what seem to be intimate conversations with beauty experts and business owners to pull the curtain back on the mechanics of the beauty industry. Episodes include wellness guru Taryn Toomey and president of Vogue International Michael Marquis. Check out this podcast if you have a desire to learn about what it takes to fuel a beauty business and still maintain a work-life balance. This is probably the least casual pod that we are featuring on the list but we all need a martini once in a while to remind us that we are all badasses who might just be thinking about launching our own skincare line in the near future (hit us up for the deets). Whether it’s the technical steps of entering the beauty space or the gumption it took to bring a product about that there was a lack of, Jodi and her guests remind us that a little courage goes a long way. Do you know Emma Guns? 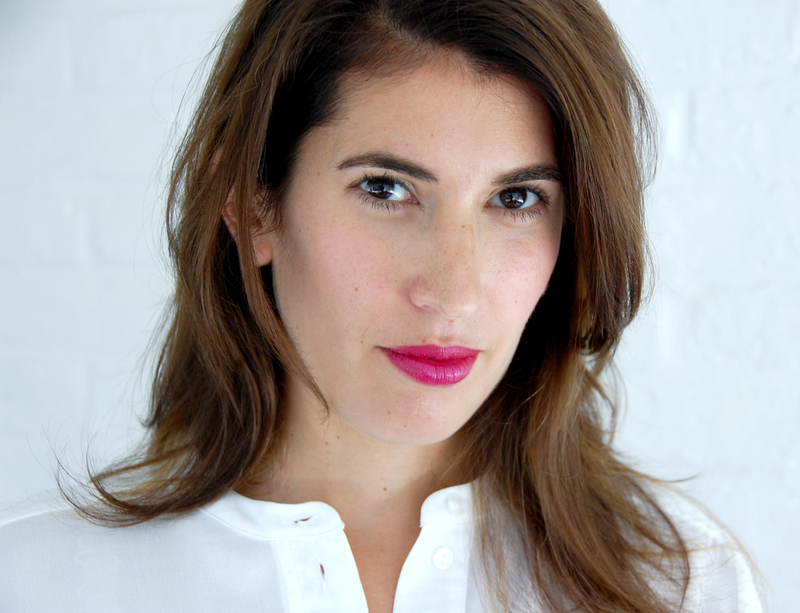 She’s a renowned beauty and wellness writer from the UK who knows what her audience wants and needs. When she’s not interviewing brand founders for The Emma Guns Show, she’s challenging us to think about the origins of beauty. Using a full beauty regimen, drinking liters of water, and working out regularly but your skin is a mess? Emma does episodes on how stress can alter our sleep and our skin. Need to feel strong mentally as well as physically? Check out the episodes where Emma talks about being a badass or accessible yoga practices. If you’re down for some self care, check out Emma’s episodes of #26habits where she talks about making or breaking - you guessed it - habits. Some habits include practicing more thoughtful kindness and cutting out sugar. If you need a real push toward reaching your goals and want someone that will keep it real with you, check out #26habits. If you’ve ever gone to a yoga class just to have the space and time to take a hour-long nap, then you’ll feel like kindred spirits with Kate Spencer and Doree Shafrir. 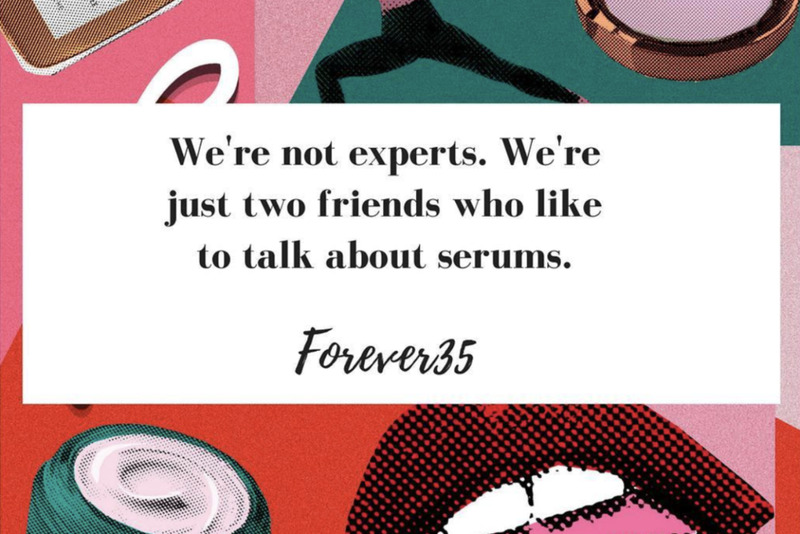 Beauty and wellness are just some topics that the hosts of the Forever35 podcast touch on. These ladies show us the level of security and strength that we find when we begin to acknowledge our power as women, especially women over the age of 30. I recently turned 30 and have found that I no longer have the patience for people and things that do not serve me. Celebs, entrepreneurs, scientists, and authors are just some of the amazing women they have on their episodes. Peppered in between each full length ep is a mini-episode discussing products or answering questions from callers where the ladies will break down the hype around beauty devices, micellar water, or other trends occurring in the industry. The best thing about it is that Kate and Doree are novelists and columnists but not officially beauty writers. This makes their fresh approach to beauty feel like a brunch chat with some besties. Another round of mimosas, please! Michelle Lee stepped into the role of Editor-In-Chief of Allure magazine in a time of tech and open dialogue. What? The media powerhouse has brought cultural inclusivity into the forefront of the beauty conversation. She’s expanding how we’re able to access our beauty news and products with the Allure Podcast. Genuine and frank about her own journey, Michelle gets her guests to open up about their journeys, struggles and successes. Don’t take our word for it, check out the episode where Michelle talks to Maye Musk about owning our age and reshaping the conversation of society putting an expiration date on women. Other guests have included Awkwafina, Tess Holliday, Patrick Starrr, and Bozoma Saint John. What a way to kick off a new podcast; we can’t wait to see what’s next. Did we miss your fave? Let us know the podcast you’re obsessing over below!